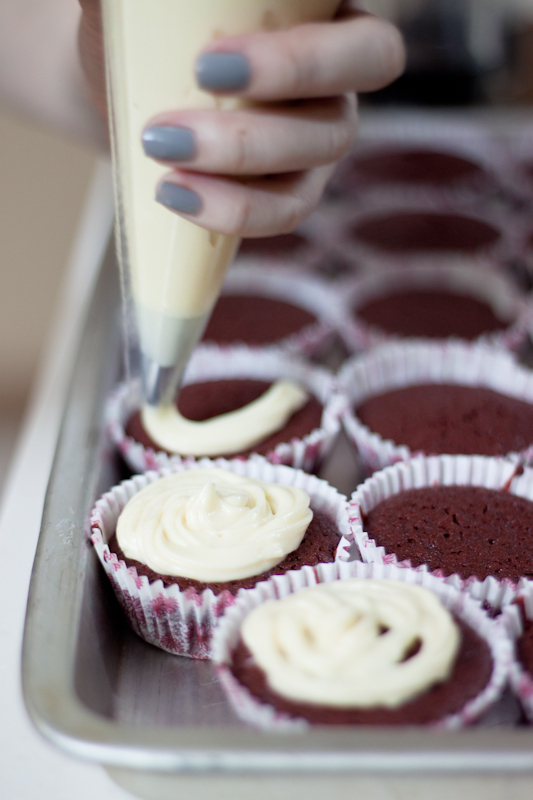 Red velvets are a perennial favourite for most girls (besides chocolate chip cookies) because they are so addictive to eat, lovely in pictures and perfect for gifts. There are many recipes I’ve tried but I prefer the one from Allrecipes because it uses a little bit of salt and sour cream which makes it even easier to pop one cupcake into your mouth after another without courting cavities. 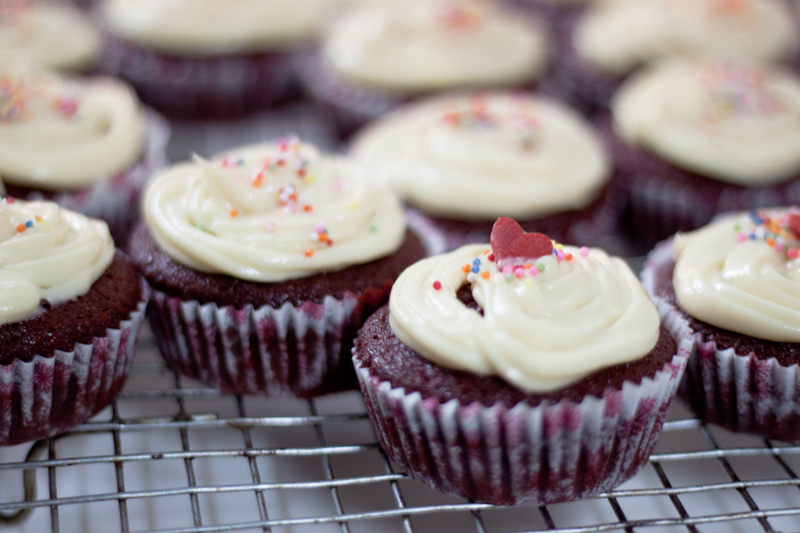 This recipe is also really a no-brainer to follow (important for amateur bakers like myself) and you get a batch of delicious cupcakes – easy pronto. 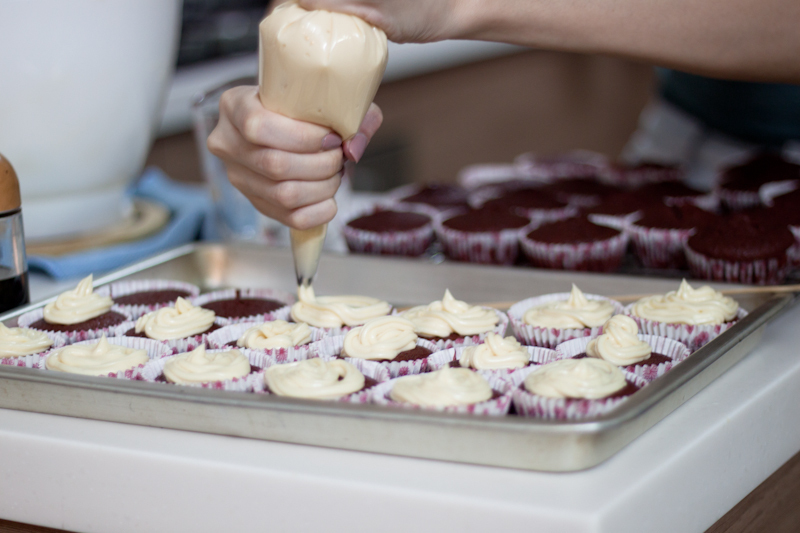 Follow the baking rule and fill cupcakes to 2/3 of cups. I was a little conservative, could have done better. Sprinkle with hearts or rainbow rice and they are ready to go on show! 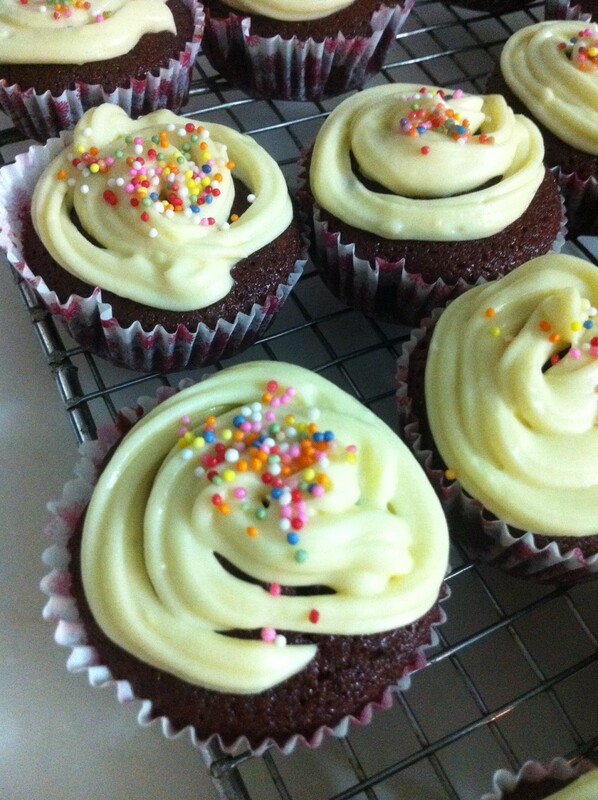 This entry was posted in Food, Fun and tagged baking, Cupcakes, food, fun, photography, singapore by lifestartsonfriday. Bookmark the permalink.